Vendor Audit: Why vendor audit is necessary? Home » 5S » Vendor Audit: Why vendor audit is necessary? A vendor audit is audit of supplier’s internal system to ensure that purchasing materials are complied with all quality, technical, statutory and regulatory requirements. Group of auditors are visits the vendor’s facility for review of product quality and system to meet end application requirements. Why vendor audit is necessary? 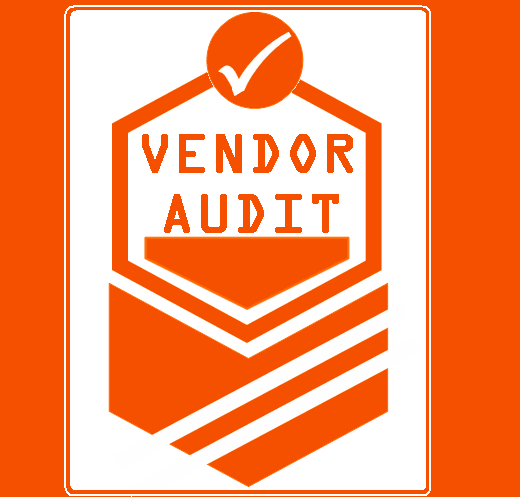 Vendor audit is part of management control system. It will enhance reliability of product quality and performance of vendor. If organization needs assurance of the “chain of supplies” and “It’s product quality reliability”, vendor audit is best appraisal system. ISO is also recommending and focus on vendor rating and vendor assessment. If you follow ISO 9001, you must aware about vendor evaluation. Vendor evaluation is increase quality products, quality management system and reliability of product of vendor. It will help to reduce product variations and also to effective product planning to increase productivity. Technical Specifications is enhanced version of international organization of standardization. TS is focus on customer satisfaction, through improve “chain of supplies” to meet customer’s requirements. TS are also focus on one more things that is highlighted as “Chain”. It’s all the concern peoples, organizations, interested parties should be well update to aware the needs of technical parameters that help to achieve the requirements of technical specifications. All Three parties are needs to update, aware for continual improvement as per international standards. Vendor Audit is part of the theses requirements are bonded with chain of supplies to ultimate goal is customer satisfaction with quality material. All above points are cover all most all requirements of ISO, ISO/ TS, OHSAS, vendor audit is very important part that enhance quality of product & all effect rates of product due to lean process are possible to cost controlling. Vendors of your organization if they are not follows any standards, you have to need to gives training & awareness as requirements of international Standards & Audit needs to accordingly. Further, all vendor training, Support for improvement & audits are necessary for all approved vendors (You have to prepared some good quality best product, quick delivery & sales services providers list).